I love to sing and especially enjoy the treasures that can be found in singing contemporary American arias and art songs. ​Kellett Chapel Recital Series, TBA 2019 Shared Recital with Soprano Amanda Hoffman. "An American Sampler" will be my portion of the program featuring Contemporary Women Composers. "Lord Nelson Mass" by Haydn, Soprano soloist, Trinity Presbyterian Church, Norman Mackenzie, Director, Sunday April 15, 2018 11:00 a.m. service. ​A Celebration Mass, A Tribute to Dr. Martin Luther King, Jr. A Drum Major for Justice. Featuring Americolor Opera by Dr. Sharon J. Willis. Soloist and Ensemble Member. ​A Celebration Mass: A Tribute to Dr. Martin Luther King, Jr.
Mozart's Regina coeli with conductor Norman Mackenzie and the Atlanta Symphony Orchestra Chamber Chorus, December 2017. Two performances: December 21, 2017 at UGA, Athens, GA and December 22, 2017 at Atlanta's Symphony Hall. Tickets were sold out. 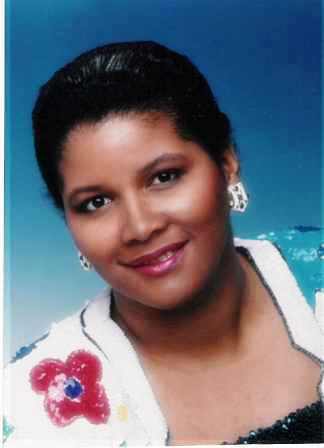 Visit Facebook Arietha Lockhart, Soprano events pages for the details. "Arietha's Songs" by Amy Leventhal with Daniel Solberg, Pianist, performed on October 4, 2015 at 3:00 p.m. at Georgia Perimeter College. Contemporary Atlanta Composers Recital at Inman Park UMC, February 17th. 7:00 p.m. with pianist, Todd Skrabanek. Member of the Georgia Council of the Arts Touring Roster and Touring Roster Artist. Discovery Channel: Anne Frank Documentary “Kaddish” soundtrack music by Steve Dancz. Curtis Bryant’s “Rose of Sharon” and Mary Badarak’s “Lady Julian of Norwich” and Caedmon"
Also available on iTunes "Let All Mortal Flesh Keep Silence" arranged by James Cockerham. "Recorded on his "Nobody Like Jesus" album BASIC/Cockerham. Stand from Ps. 46 by James Cockerham from the Album "Be Still and Know"
Want to book or contact this artist? Visit Connect on LinkedIN Arietha Lockhart or email muevnet@gmail.com for bookings. Put "Booking" in the subject. Available for Recitals, Clinics, Weddings, Parties and Memorial Services.